It rains a lot in Bali. We were there seven days and it rained seven days. Sometimes for just a few hours but sometimes all day. The Balinese are very adept at finding umbrellas when they need them. 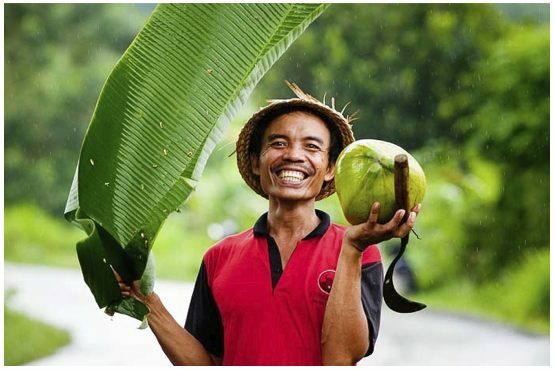 This farmer found a banana leaf would work just fine while he was out picking coconuts.